Bay laurel trees are used in a variety of herbal remedies precisely because they are simply not subject to very many diseases. These remedies take advantage of this tree's hardiness and attempt to use it to your health's advantage. 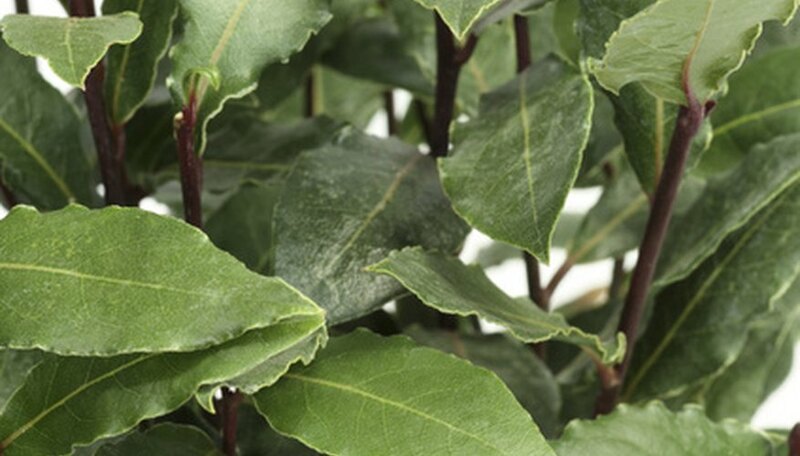 Even if you do not personally prefer to eat or drink your bay laurel leaves, you may still enjoy its long, evergreen foliage. However, if you are not aware of the signs and symptoms of the few bay laurel tree diseases out there, you may find that you have a suffering or dying bay laurel tree on your hands before you have a chance to save it. Bay anthracnose is a fungal infection that attacks the bay laurel tree from the inside but manifests itself first in the leaves. First the tips of the leaves will turn dark brown or black, followed by the remainder of the leaves. The tip will begin to gray as the rest of the leaf dies. Left unchecked, an anthracnose infection can lead to leaf loss and defoliation as well as the death of twigs and branches as the fungal infection breaks the tree down. To control the infection, use sterile pruning to remove affected leaves and branches, then monitor the tree for further signs of trouble. You can also treat the tree with a fungicide and limit watering to early morning hours, and only when the soil is dry. If the tree continues to suffer, you may need to remove it to prevent infection of other trees. Phytophthora ramorum is a fungal infection like anthracnose, and many of the symptoms of these two diseases are similar. This infection also starts out with black leaf tips, and as the leaves die they may become outlined in yellow before they turn brown, black and then gray. However, P. ramorum can also start out as black spots in the middle area of the leaf that blotch until they destroy the leaf from the inside out. As the leaves, fall you may notice trouble with the branches as well. As with anthracnose, remove affected limbs and foliage using sterile pruning techniques and treat the tree with a fungicide if necessary. As yet, there are no reported cases of bay laurel tree death due to P. ramorum. The bay sucker is also known as the jumping plant louse. These tiny insects infect bay trees and live in nooks and crannies in the bark during the winter. Then, they create thick, yellow lesions on the leaves, which cause the leaves to yellow and curl around the edges. Bay suckers can be eradicated by washing the undersides of bay leaves with a weak soap solution or by removing affected leaves and branches. While bay suckers will not kill your bay laurel tree on their own, they can lead to a variety of problematic secondary infections that can hurt or kill your bay laurel.